When you become a member of IBTTA, you’re joining a community that talks about the same things you do, like maintenance, operations, new technology and asset management. And that’s just for starters. Want to find out how autonomous vehicles, cybersecurity and road user charges will impact how you operate your toll road? There’s no better place to be than with peers that can share their experiences and relate to similar challenges. IBTTA is the global association for toll facility owners and operators and businesses that serve them. Our network of over 240 organizations in 26 countries represents a community of more than 5,000 professionals worldwide. 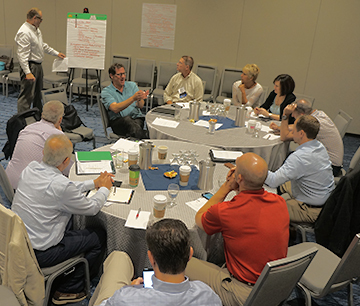 Our members work together to shape a better future for communities seeking mobility solutions. IBTTA’s value is strength in numbers and success by association. Come join us! Organizations that operate toll bridges, tunnels, turnpikes, ferries and similar systems throughout the world including federal, state, and local authorities or commissions, public boards and private companies. The annual dues for Active members is based on annual toll revenue. Use the dues Dues Calculation Tool to determine your annual dues amount. Associate members with toll-related revenue greater than $5 million are considered Sustaining Members. For members with revenue greater than $5 million, 2019 membership dues are $18,000 annually. Sustaining members receive additional recognition for their vital contributions. Associations of agencies, companies or other entities and consortiums from countries outside of North America may join IBTTA as Group Members. The 2019 dues rate for Group Membership is $25,000. For more information on Group Membership, please contact Terri Lankford. Honorary members are Individuals who have made an outstanding contribution in furtherance of the purposes and objectives of IBTTA. These members are nominated and approved by the IBTTA Board of Directors. Peruse the list of current IBTTA Honorary Members. To learn more about membership in IBTTA or to request a copy of our dues structure, please contact Terri Lankford, IBTTA's Manager of Membership & Business Development. What is the difference between Active membership and Associate membership? Your membership type is determined by the nature of your primary business. Active Members are organizations that own and operate toll bridges, tunnels and turnpikes. Associate and Sustaining Members do not own or operate toll facilities but rather companies or individuals that supply products or services to the tolling industry. Read a complete description of Membership in Article II of the IBTTA ByLaws. Once my company joins IBTTA, do all my employees have access to member benefits? Yes! Encourage your employees to create their own Account Profile so they can take advantage of all IBTTA Membership Benefits. An account will provide access to member-only resources on the website and allow for online event registration. IBTTA’s Bylaws state that only Active Members (owners and operators) may sit on the Board of Directors. However, Associate and Sustaining Members may serve on IBTTA Committees, Task Forces and Meeting Planning Groups and have significant influence on the direction of the Association through these roles. What is the makeup of the Board of Directors and how long is a board member’s term? The Board of Directors is comprised of five officers and 20 directors. Officers serve a one-year term, and directors serve staggered four-year terms. How does IBTTA involve Non-U.S. members? IBTTA has significant representation from European toll operators, as well as members from Australia, South Africa and Japan. Non-U.S. members possess a wide range of experience in approaching political, economic and physical problems for sustaining toll agencies. Expanding membership outside the U.S. is a priority and IBTTA has created an International Task Force to expand our global interests. IBTTA “Ambassadors” help promote IBTTA within their region and increase engagement in their community. IBTTA includes international perspectives at meetings and webinars and sends member delegations to meet with counterparts in numerous countries. Of significant note is that IBTTA has a memorandum of understanding (MOU) with ASECAP, the European Association of Operators of Toll Road Infrastructures, that fosters ongoing cooperation with Europe. Read more. Where does IBTTA derive its revenues and how are they spent? IBTTA is funded primarily through membership dues and meeting registrations, exhibits and sponsorships. These resources allow IBTTA to deliver high-quality education programs, increase public awareness and dedicated support for the global toll industry. For detailed information, browse our library of annual reports. Does IBTTA lobby and advance a legislative agenda? Yes. IBTTA closely monitors and reports on toll-related legislation and policy at the federal and state levels, with the goal of creating a political environment that is more favorable to tolling. IBTTA asserts the industry viewpoint with key decision makers through position papers, targeted mailings and events that call on public officials to examine expanded use of tolling and road pricing as effective highway finance solutions. Absolutely! 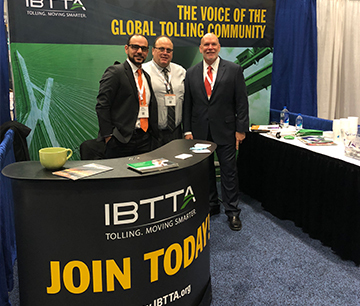 IBTTA’s public awareness campaign is all about raising the voice and visibility of IBTTA, its members and the tolling industry. 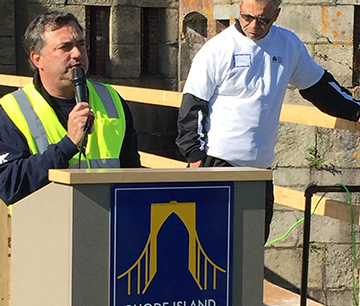 IBTTA educates the media, elected officials and the general public about the benefits of tolling. IBTTA is recognized by international, national and state and local media as the definitive resource on tolling and transportation issues. Read through news articles covering IBTTA and IBTTA press releases, IBTTA's official blog, Tolling Points or general Industry News. As a member, you’ll receive the IBTTA SmartBrief, a daily roundup of tolling news from around the world. 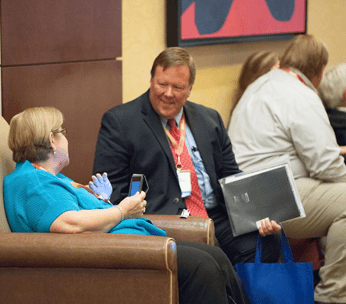 What sets IBTTA meetings and workshops apart? 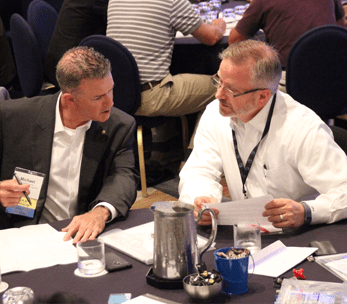 Each year, IBTTA offers a full range of meetings, summits and workshops tailored to tolling professionals working at all operational levels. These content-rich events provide opportunities to learn progressive solutions to common challenges while benefiting from the insights of leading experts. 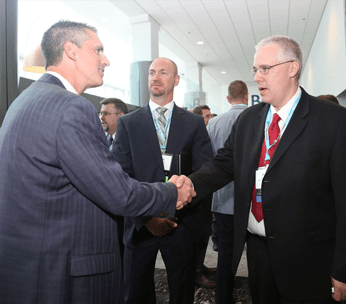 Each Fall, our Annual Meeting & Exhibition draws hundreds of delegates from around the world creating a forum like no other in the tolling industry. Throughout the year, our popular workshops focusing on maintenance & roadway operations, managed lanes, all-electronic tolling, road usage charging and other industry-relevant areas provide hands-on opportunities to learn from the best in the business. Does IBTTA sell mailing lists of its members? IBTTA respects the privacy of its members and does not sell, rent or make publicly available its membership list. Interested in learning more about membership? Contact Ancilla Brady, Director of Business Development by email or phone her at 202-659-4620 x19.